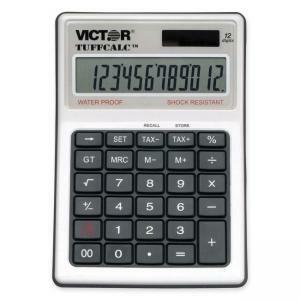 Waterproof/washable 12-digit calculator provides all the basic calculations, plus it gives you tax keys, grand total and square root. And since the average calculator keyboard is home to fifty times as many germs as the average toilet seat, you'll be glad you can clean, sanitize and disinfect this waterproof one. 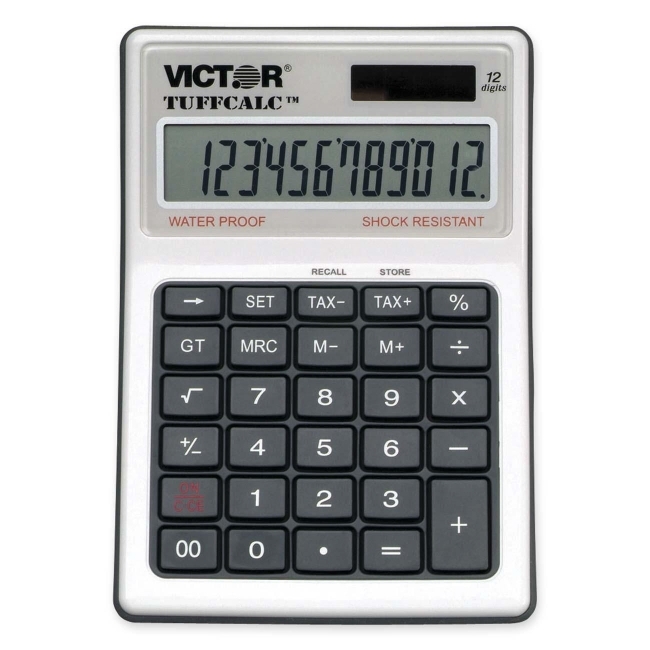 Washable calculator is also shock resistant, in case you happen to drop it. And it provides a large angled LCD display.